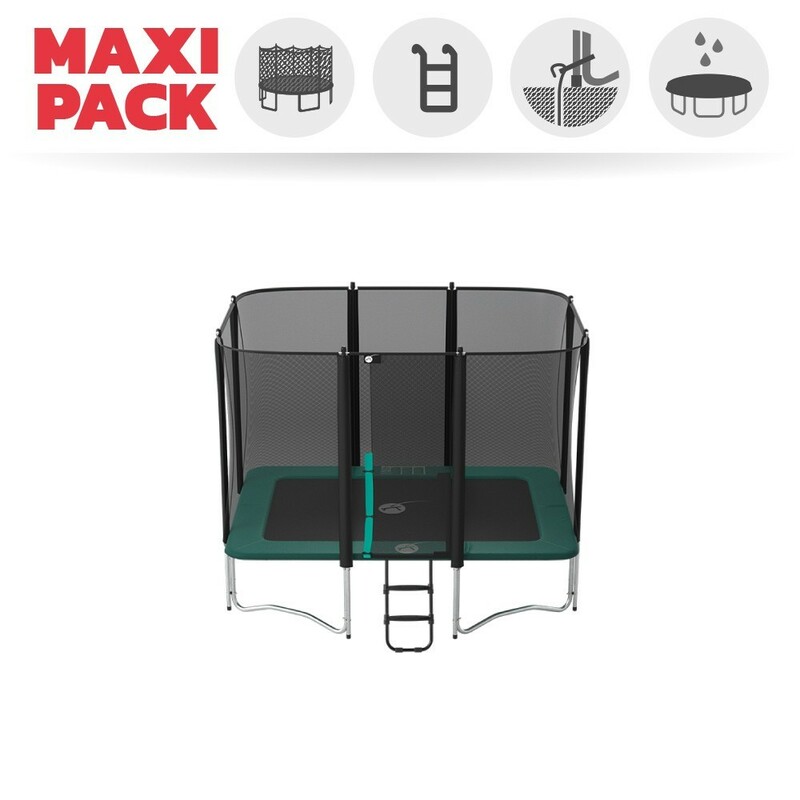 The Apollo Sport 300 maxi pack includes a rectangular trampoline, an enclosure, a ladder, an anchor kit and a cover for maximum user safety and to help you keep your trampoline clean! 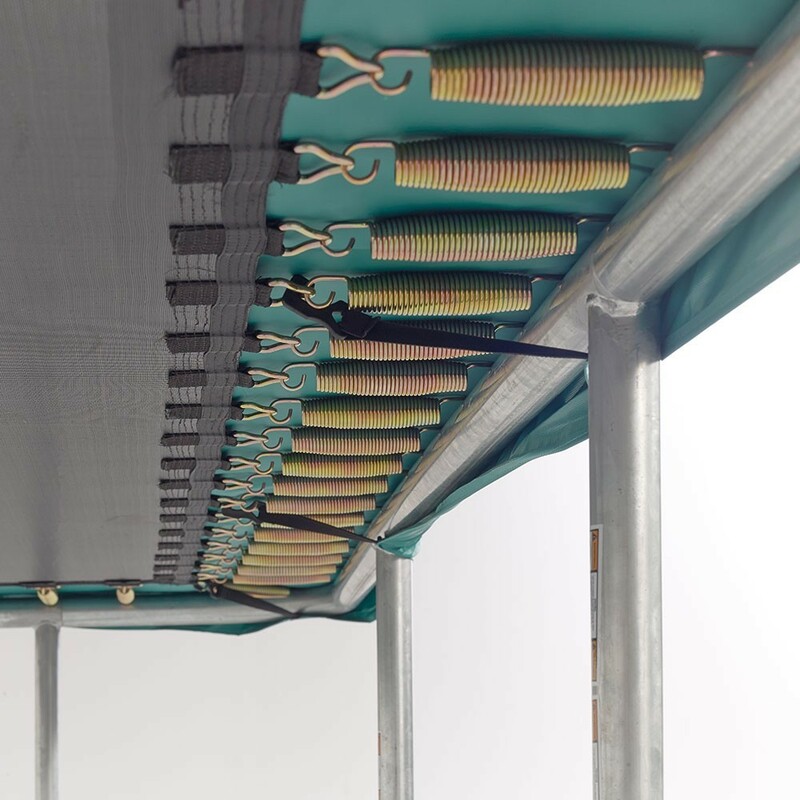 - This trampoline is made with 2 mm thick hot-dip galvanised steel and 50.8 mm wide tubes. 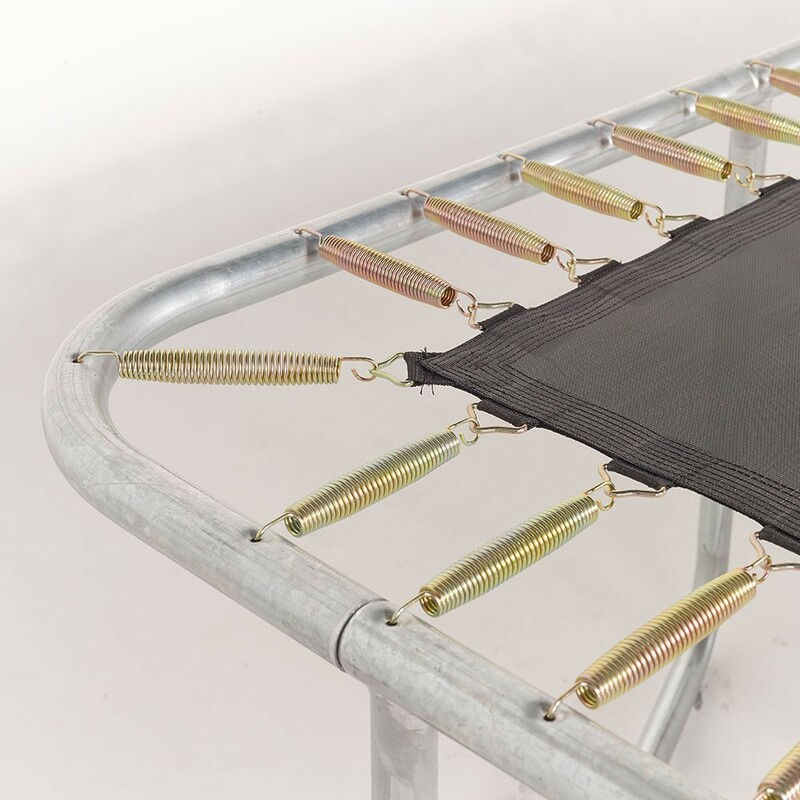 This robust framework can stay outdoors all year round. 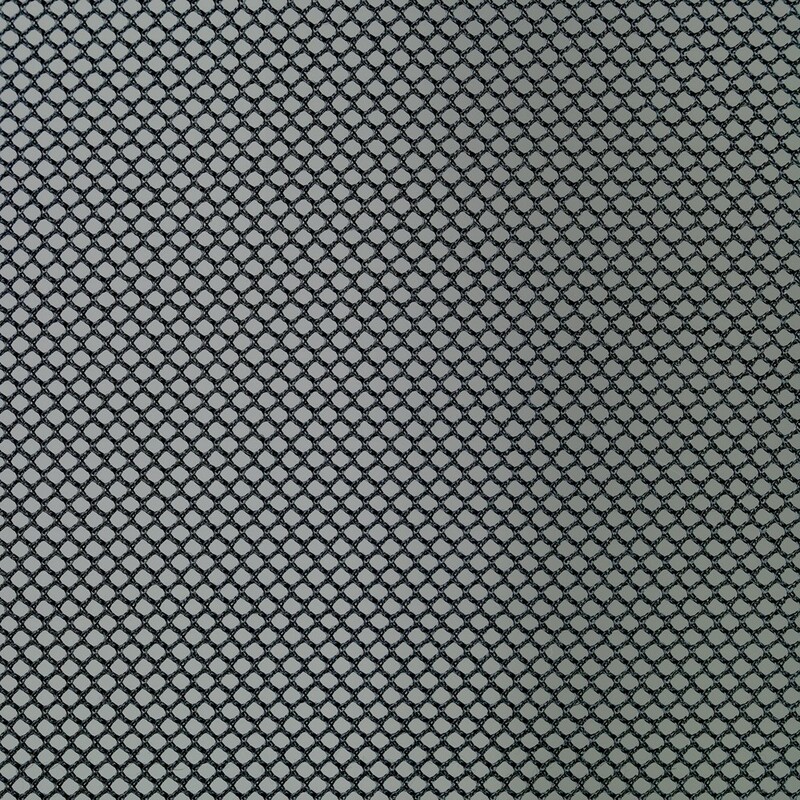 - The polypropylene mesh jumping mat is UV-light protected. 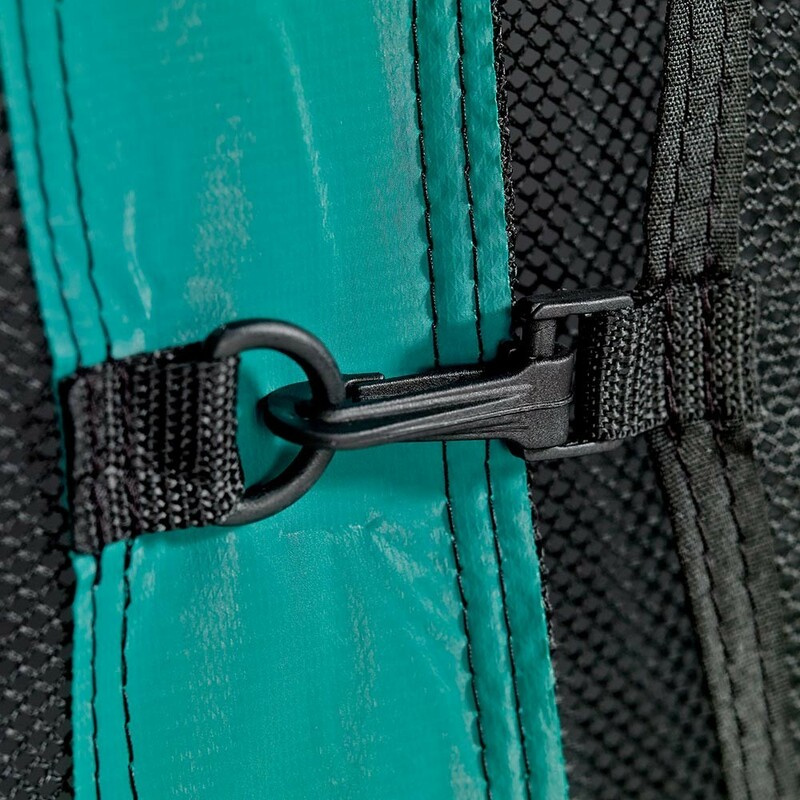 It is very resistant thanks to its 8 rows of stitching and reinforcement band all around the edge of the mat. 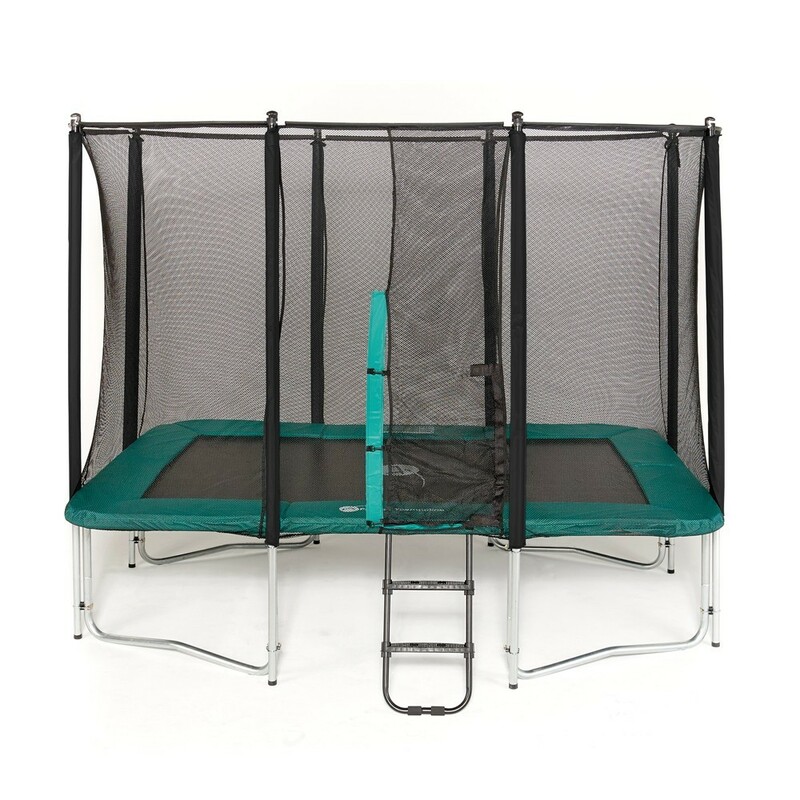 - The green frame pad is32 cm wide, covering all of the spring area. 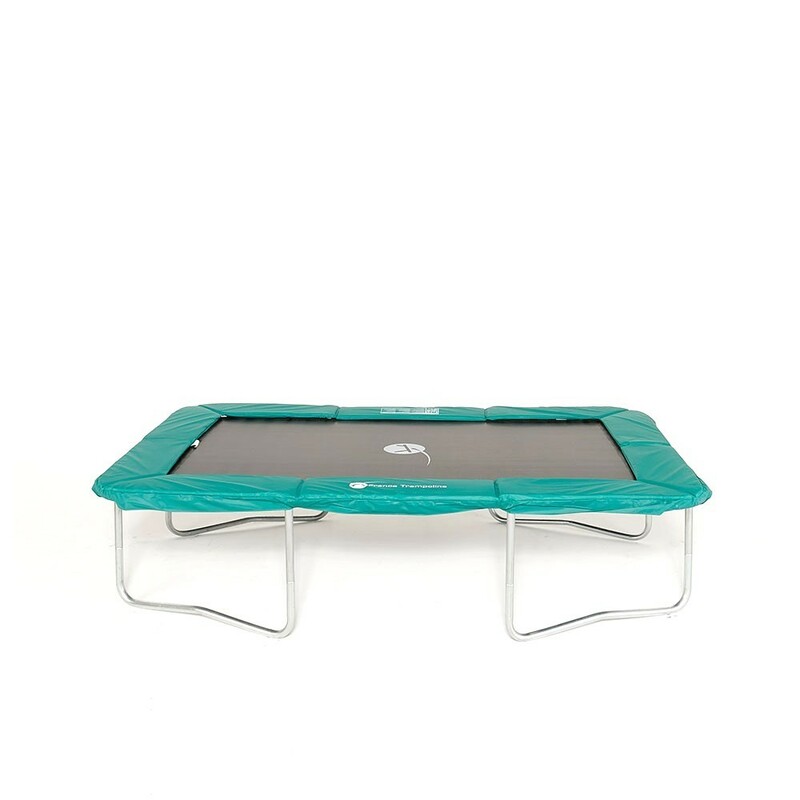 The EPE mono-block foal is covered with PVC coated fabric that makes the pad waterproof. 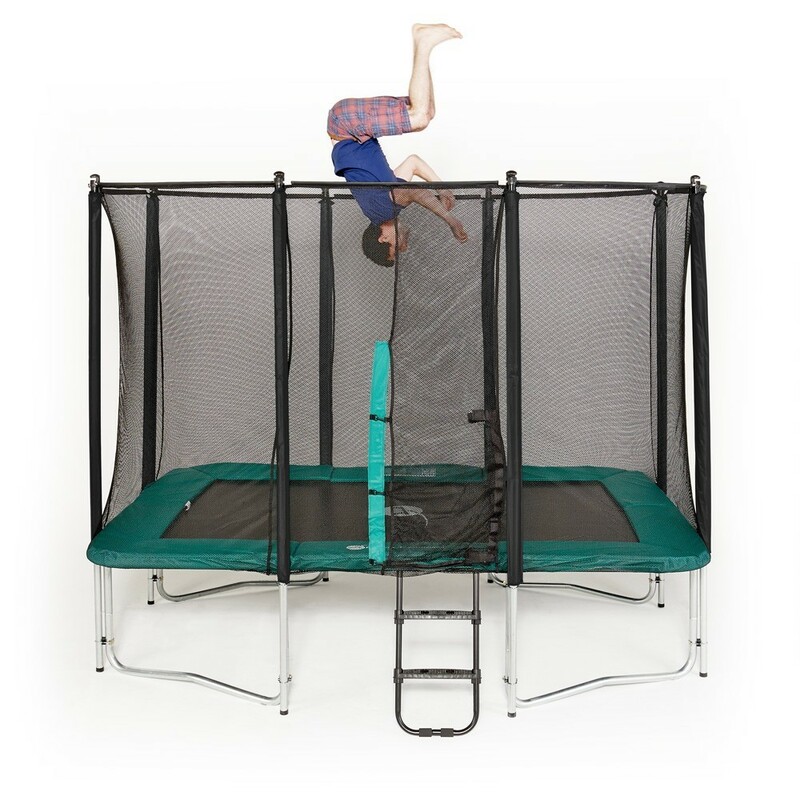 - Our premium enclosure is made with high-quality polyester and fine netting to avoid little fingers from getting caught. 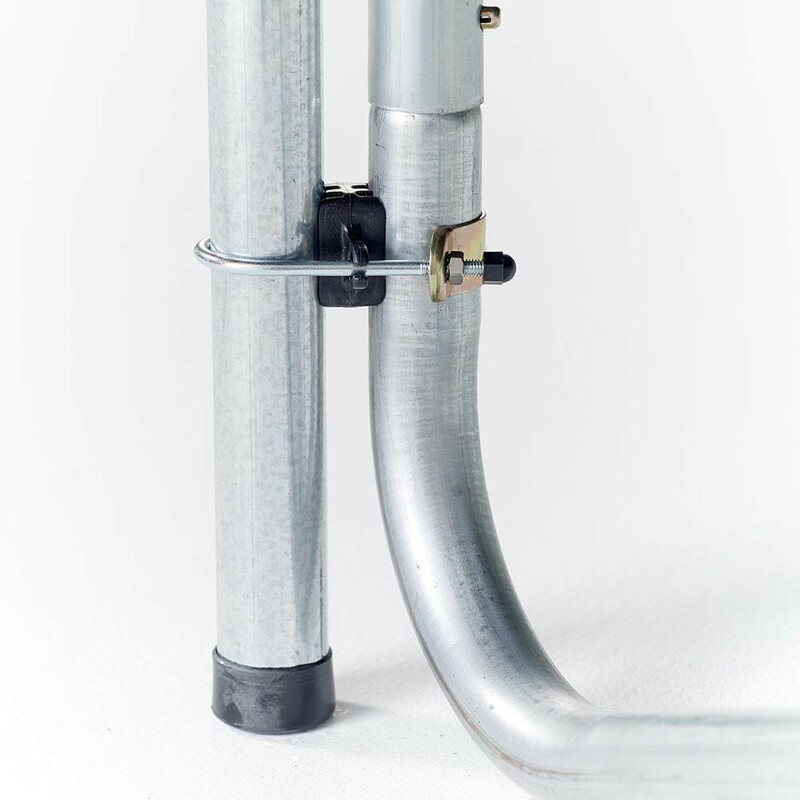 The 38 mm net posts stand on the ground for extra stability. 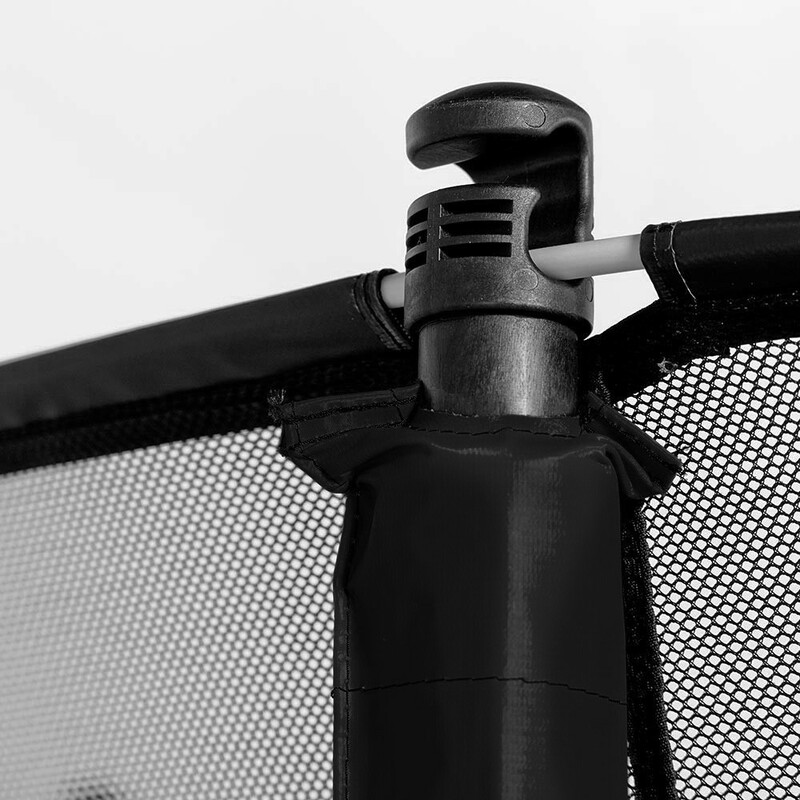 The top of the net posts hold in place fibreglass rods to allow for perfect net tension. 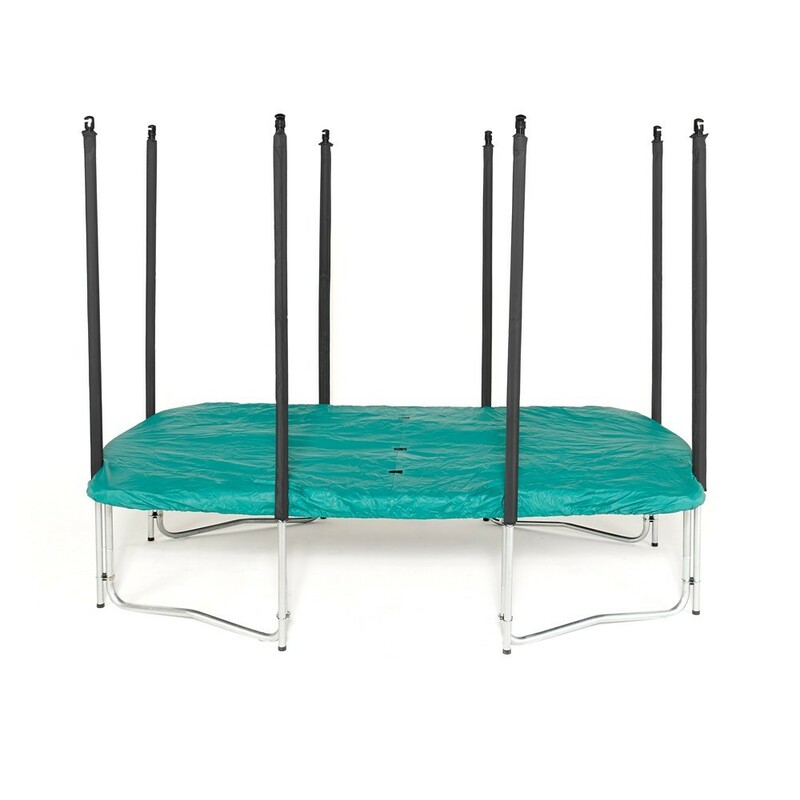 - The removable access ladder provides easy access to the trampoline thanks to its two 7.5 cm wide anti-slip steps. 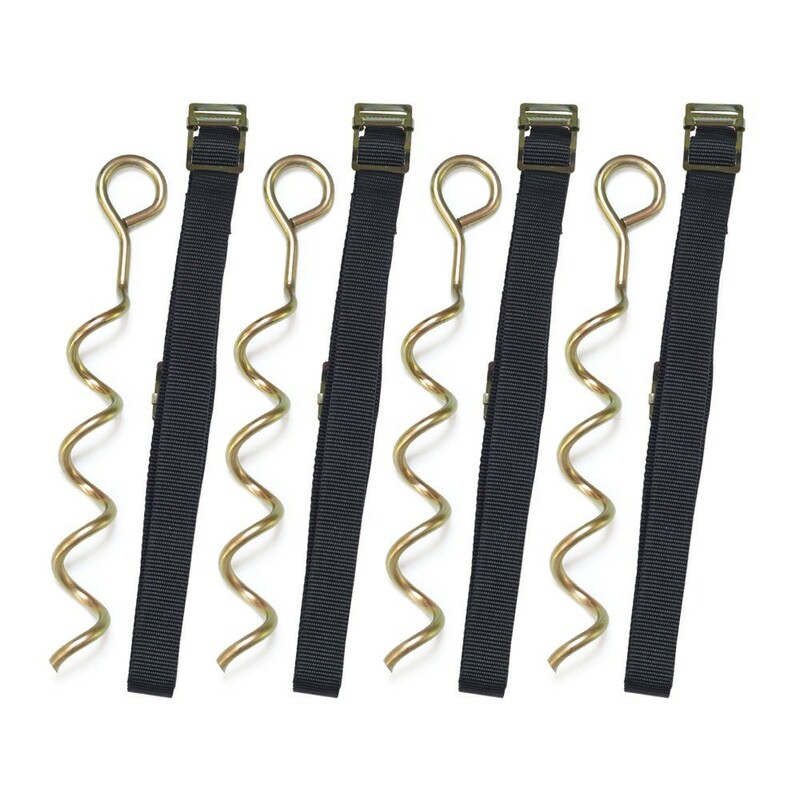 - The anchoring kit is essential in windy regions and holds the trampoline in place thanks to 4 winged screws and 4 fabric straps. 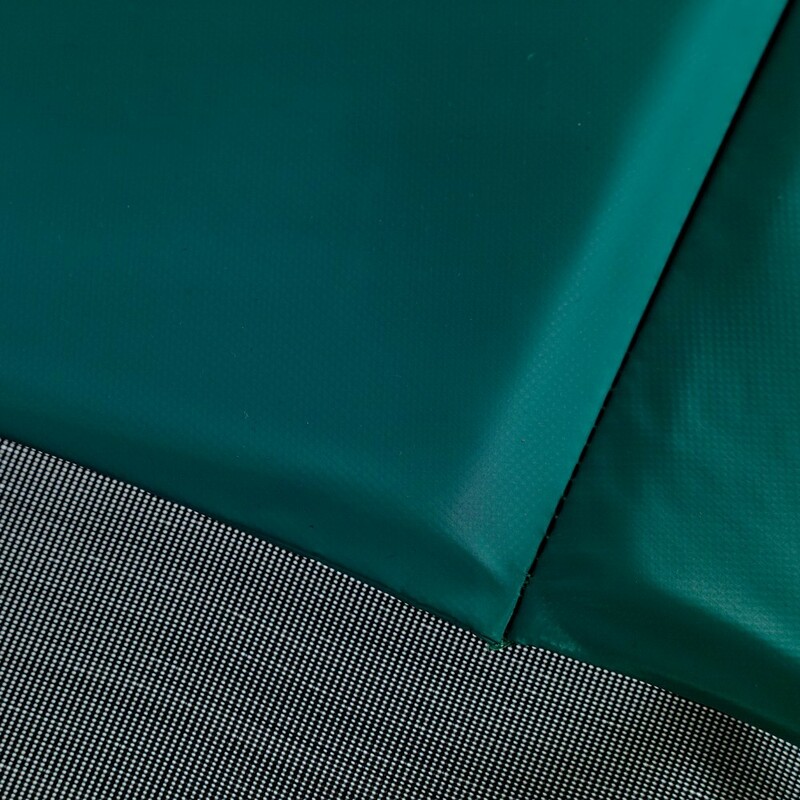 - The premium protective coverwill protect your trampoline all year round. 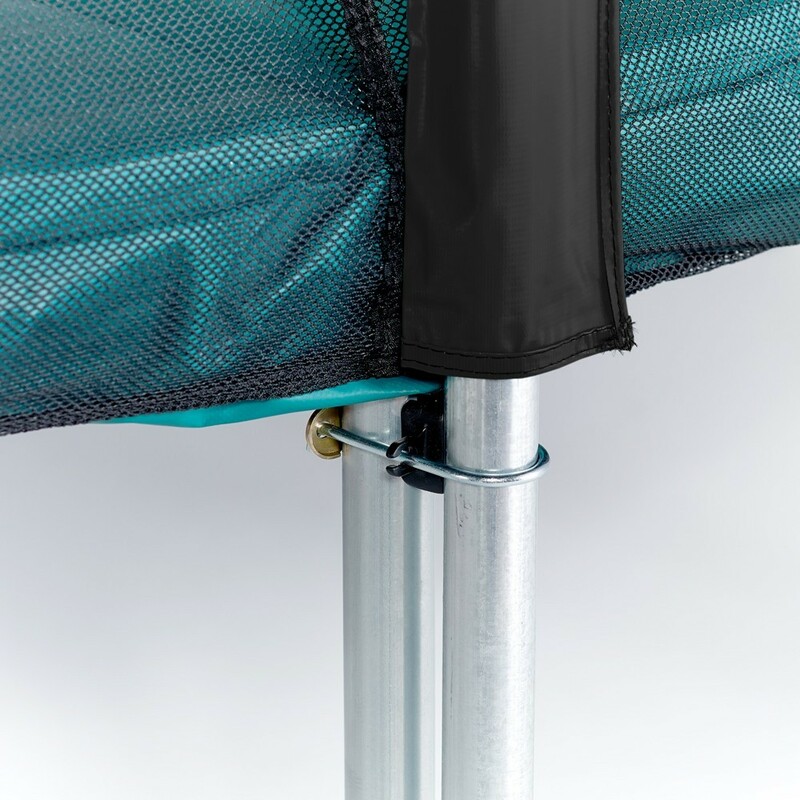 Made with PVC coated fabric and treated against UV-light, it also has 3 evacuation grids to stop water from gathering in the centre. 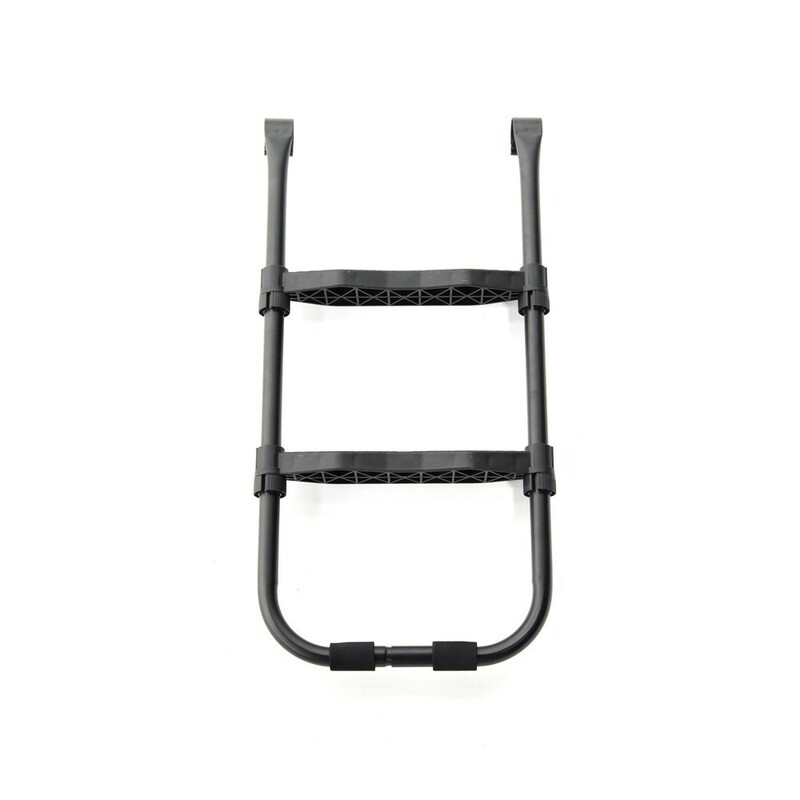 au top ! super rebond !